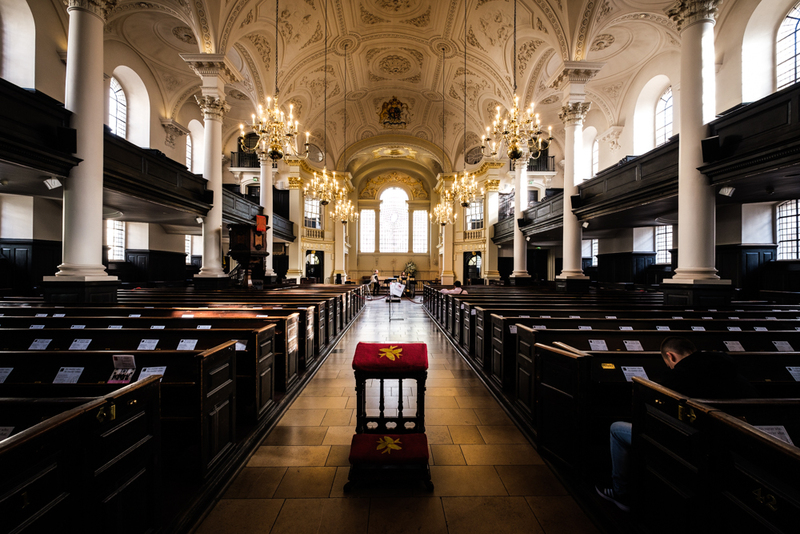 As I was walking towards a meeting in Pall Mall I walked passed St Martin in the Fields, and never having gone inside, decided to give it a try. It may look sober compared to the churches and cathedrals I’m used to in Paris, but there’s something soothing in that, even to an atheist like me. Anyway, I decided it was worth a shot. Only later did I notice the man silently praying on the right hand side of the shot.